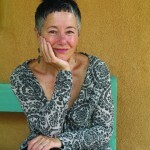 Veronica Golos is the author of Vocabulary of Silence (Red Hen Press, 2011), and winner of the 2011 New Mexico Book Award. 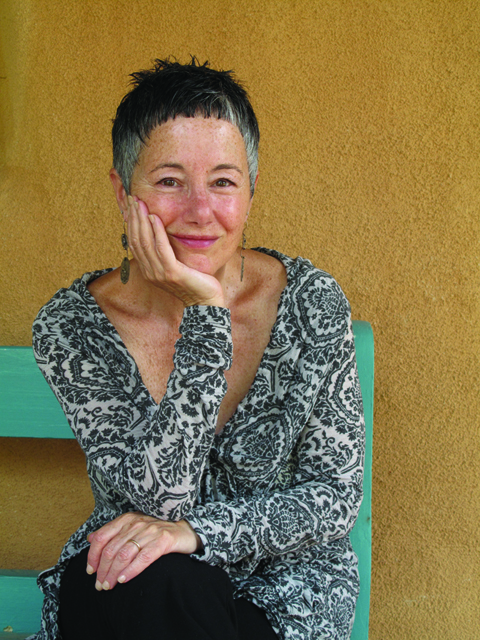 Her poetry immerses us in everyday beauty – the line of sheets drying amidst hollyhocks and russian sage – while tearing away the illusion that we, as Americans, are somehow uniquely entitled to our gardens. Her poetry doesn’t allow the comfortable notion of distance, that war is something that happens across the ocean to “others.” A mother and father’s love for their child is the same in America, Iraq, Iran, Afghanistan, Palestine, or Vietnam. Children all across this fragile globe are equally entitled to security and peace. I am glad to be part of the Writing for Peace organization. What could be more important? The entire world seems to be spinning toward war, with the United States invading, occupying, and being the colonial empire. I do think that Writing for Peace, and also the idea of localized peace effort, is a wonderful one. giddy as you flip the wet sheets over the ropeline you’ve strung from fence to tree. The birds are almost speaking. You are happy. Juba! clicks, too hot too hot—no—I say back, I love the sun—nong qua! nong qua! how will I turn back – nonq qua! – how? to my Juba! again? Juba: Sudan. White Nile. Dance, clap Juba! Repeat. This entry was posted in Advisory Panel Contributors and tagged Golos, Juba, Veronica, Veronica Golos, Vocabulary of Silence. Bookmark the permalink. Lovely. Thank you for sharing beauty in the name of peace. Thank you, Victoria – for not forgetting; thank you for remembering life in the face of so much death, and for having the courage and endurance to continue to sing Life!